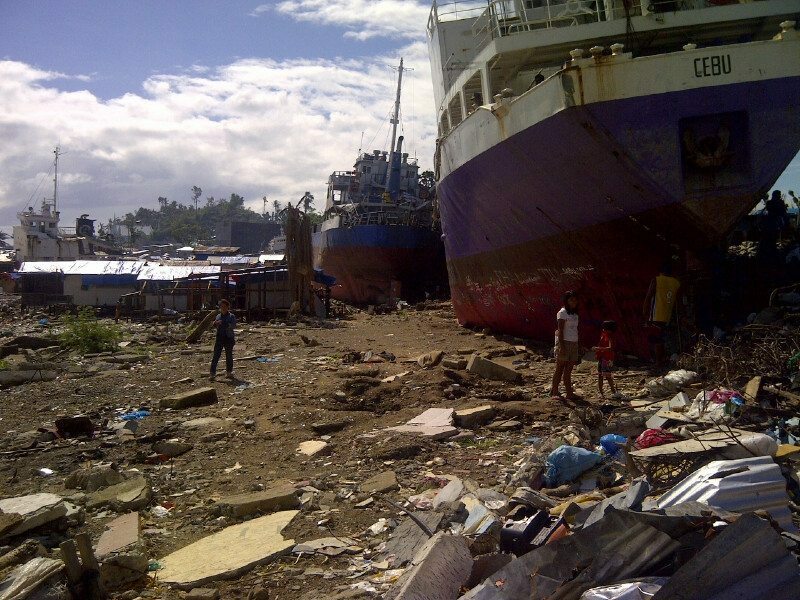 My family and I decided that I should visit Tacloban on December 26th, and visit people we know and to bring some relief , and medical supplies if possible. Getting there right now is still very challenging since it is a disaster zone. 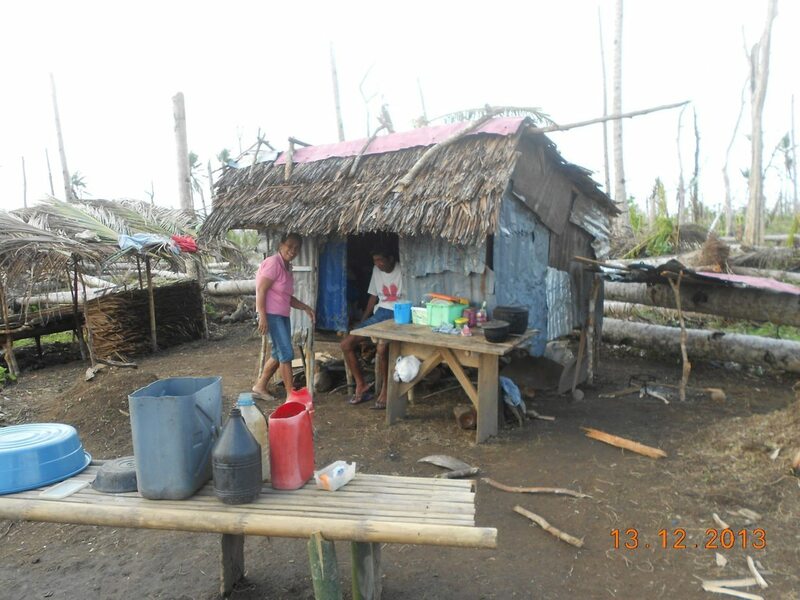 Living conditions are still very low; although there is limited hotel service available if they are not booked solid. With limited time I took off from Taipei and traveled to Manila, and transferred to Cebu arriving around 5:00 PM. Upon arrival I was a little dismayed to find out my large backpack full of medical supplies was not there, and was told it would arrive by 9:00 PM that evening. I was able to find a room across the street from the Cebu airport at a very decent hotel. My flight being at early at 5:00 AM so I didn’t want to be to far away. After arriving back at the airport I was able to find food and coffee while becoming aware that the flight time was not 5:00 AM, but really sun rise, due to the fact that Tacloban airport is really only working in daylight hours. 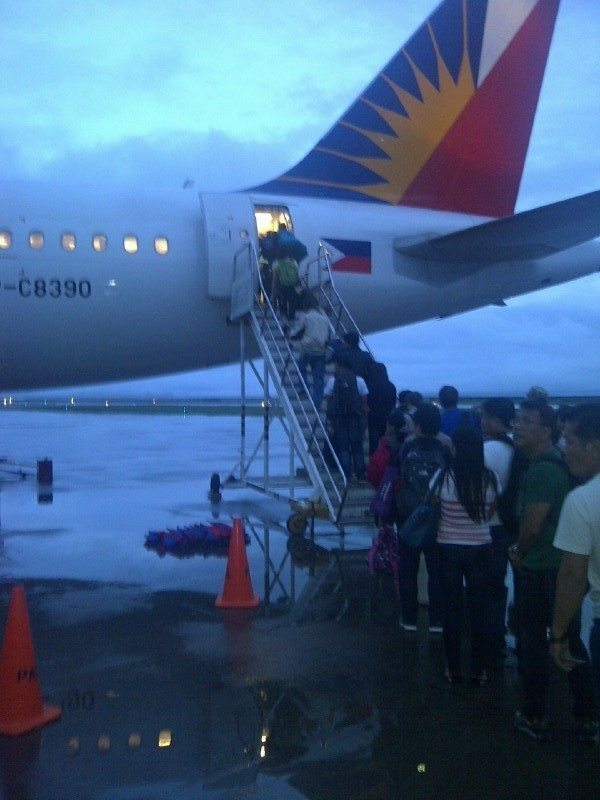 Fog had rolled in over Tacloban and there was concern we would not make it on the flight. Since we were able to board and flew to the city, frustration set in since the pilot informed us that he was canceling the landing due to fog and would fly back. Now having been returned to Cebu with no flight for the day, and only having flight options for late into the very next day. I started asking questions that led me to the option of taking a ferry over to Leyte via Ormac, and then hiring a driver over to Tacloban. So that is exactly what I did, and rushed over to the port ASAP to book a ticket since they were going fast. I secured a 1:30 PM, and was on standby for the 11:30 AM ferry. Having secured the 11:30 AM ticket due to a no show I boarded the ferry for the one and one half hour ride. The trip was comfortable, and they provided coffee, water, and snacks. Upon leaving the ferry station there in Ormac, I had several drivers to choose from. It was only a matter of choosing someone I felt comfortable with, and then negotiating the price of the trip. While driving through Ormac it was obvious that they had been hit by a serious storm, but the damage was not as serious as I had expected. Now driving north it became apparent that the storm hit everyone in an unequal manner, and spread the destruction into areas that were not protected by hills or in valley’s. As the trip continued through remote villages you could see that rebuilding had begun; new walls from freshly weaved palm leafs were use to fix the side of huts, and metal roofing was already being put into place. However there was several items I had expected. First there was not a single chicken in site, and not a single foreign worker to be seen. It was obvious so far that even though the world was talking about support on the ground the people had left sometime before Christmas. As I arrived much closer to the main city the destruction was made clear with whole villages wiped out or spared, but only because of the geography. The meaning of survival was determined by what you knew about the areas geography in relationship the the oncoming storm. Once I entered the suburban city of Palo, the debris field was most flat with partial structures standing like a wall here and there. The sun was now going down, and I had already met up with my intended contacts for the evening, so I switched vehicles, and headed into Tacloban to get situated for the night. Now December 28th, and with little time remaining I headed through the city to see for myself what had transpired there during and after the storm. The downtown was completely gone along the bay where the storm came in. The area from there going out did improve slightly as the elevation and terrain allowed. Now international support was nowhere to be seen, and I know there was still a few organisations still in town. 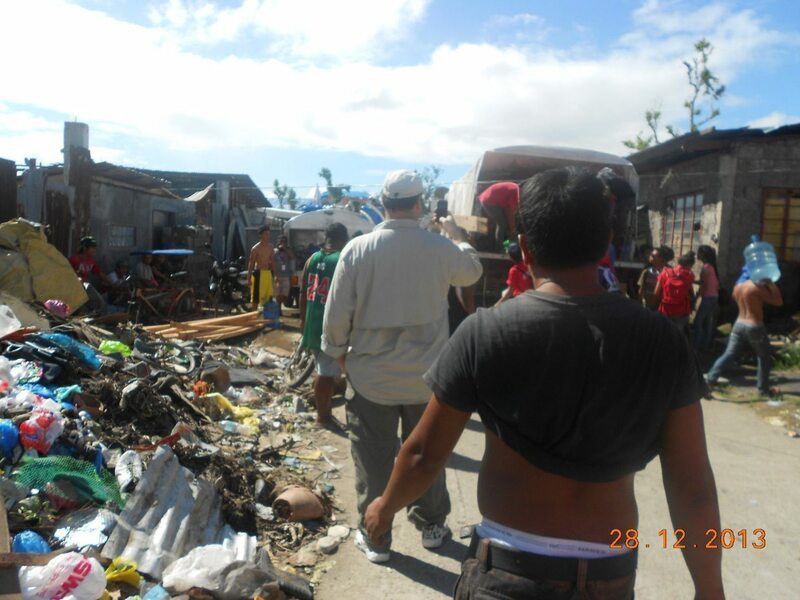 The one who left did leave behind tents, tarps, and food but organisations were now gone. Now what I did see was a tremendous amount of Filipino people within organisations out of Manila there helping out such as the the local Red Cross. Palma Mijares of Manila, and we went over to an event he organised with a group of business leaders in the Philippines. It will take significant time for this city to recover, but with a helping hand this historic city will recover from the destruction. You indeed had a amazed and unforgettable experience in Tacloban.